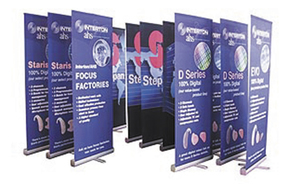 You'll be exhibiting in moments. 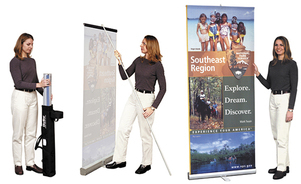 Skyline's shock-corded support pole and retractable graphic panel sets up in a breeze. 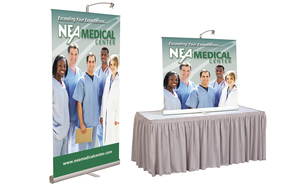 Units can be used alone or designed to align three wide for use as a backwall display in a typical 10' (3m) booth space. 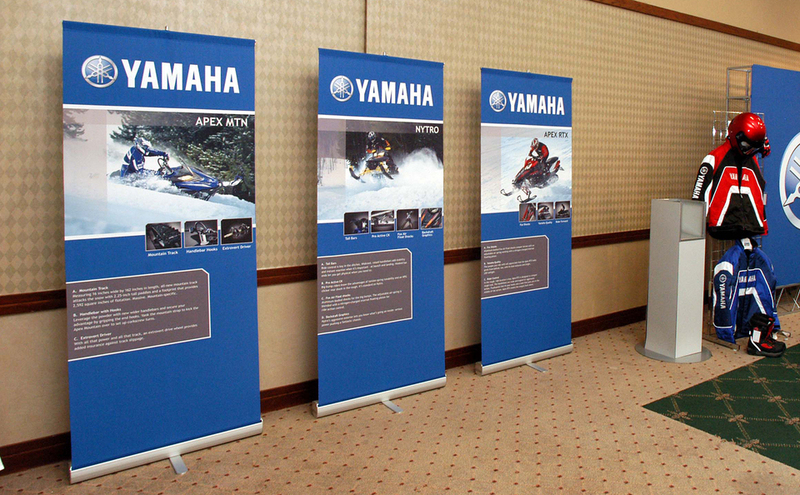 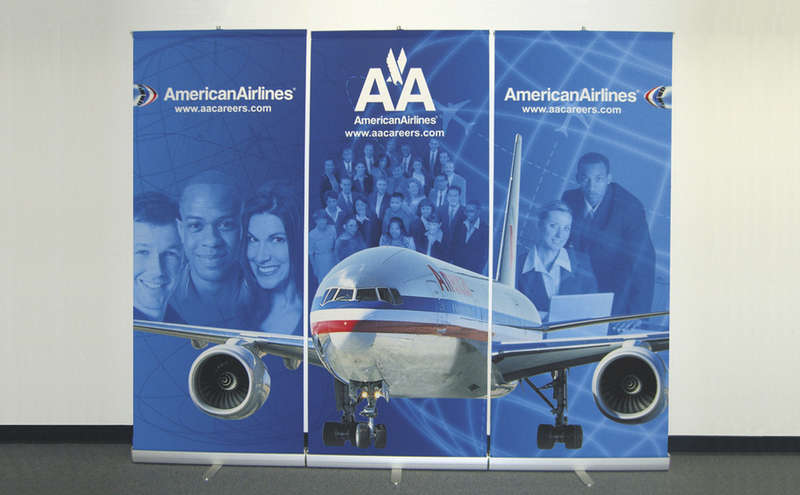 3000-R double-sided banner stand gives you graphic impact on both sides (34-inch banner stand only). 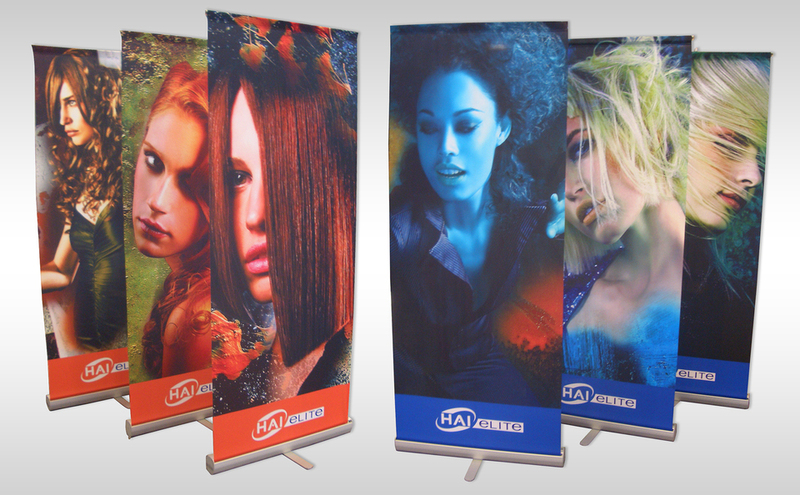 Lights simply attaches to support pole and highlights your graphic. 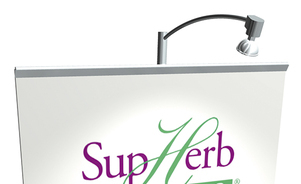 Choose 50-watt halogen or Skyline’s energy-saving, cool-to-the-touch LED. 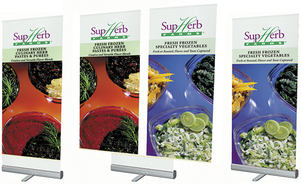 Request a Free Copy of the 3000R Bannerstand Brochure Today! 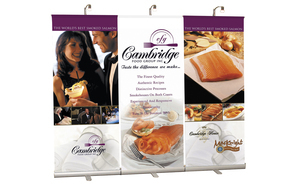 A Skyline retractable banner stand is big on looks and convenience! 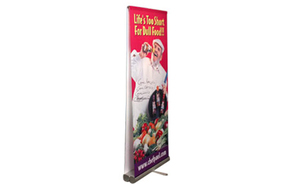 It is lightweight and a breeze to set up - simply unroll the graphic panel from its base!